﻿ How frequency inverter save money? HomeFAQHow frequency inverter save money? The frequency inverter is used for control the AC induction motor, only AC motors, to save electricity and related costs. 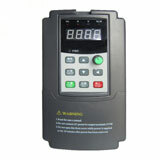 The frequency inverter main advantage is saving electricity, saving rate depends on the application and running time. After you use frequency inverter to control the motor, the power grid line is more stable and no instantaneous current shock to the electric motor. Then the frequency inverter comes to solve it with a detective sensor. 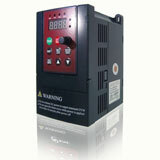 Actually more than 85 percent machines with motors can apply inverters to save electricity and protect the motors.